Google has added India to its list of over 50 countries that can send free text messages from Gmail, as noted by IBN Live. The new service lets Indian Gmail users send an SMS from a Gmail window to a mobile phone and receive replies as chat messages. Google’s support page for SMS chat in Gmail lists all mobile operators as available. Users won’t be able to send unlimited messages, though, as they will have a maximum credit of 50 texts that will be replenished when SMS replies, which will be billed at the standard rate, are received. That system should help curb spammers from using the service without placing an undue burden on users. If a user runs out, credits will slowly recharge, or they can be purchased. Mobile subscribers who want to opt out of receiving Gmail chat SMSs can choose to block specific users or all messages. The Gmail texting service should compete with other mobile messaging services that are gaining steam in India. Last month, Whatsapp announced a deal with Indian carrier Reliance to offer an unlimited messaging plan to college students. 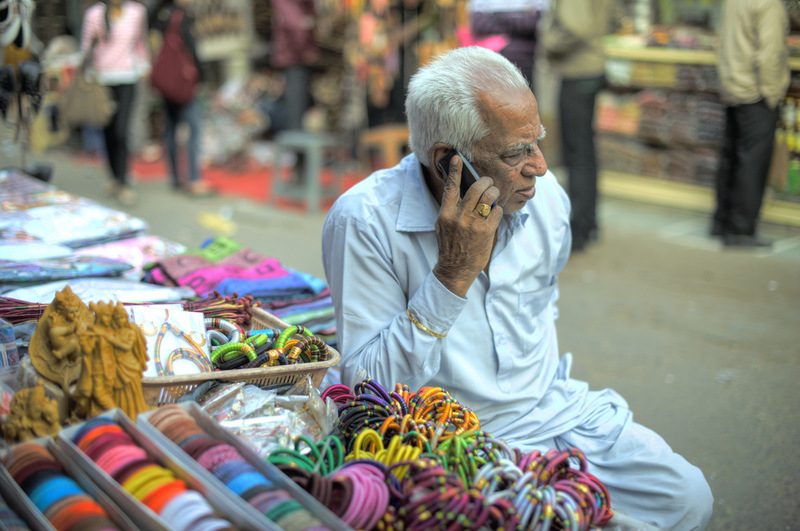 In April, Google added SMS posting capabilities to its Google+ social network in India. Google has been working to bridge the gap between SMS services on feature phones and its Gmail service in developing markets. For instance, the search giant rolled out a new Gmail SMS feature in Africa this July that forward emails as text messages and enables replies via SMS. Users can also send text message commands to control the flow of email SMS notifications.